Leave it to the insanely cool and eco-friendly brand Reformation to bring alarming facts about the fashion industry to our attention. Since the earth-enthusiasts and designers at the L.A. based label make it their mission to create eco-friendly clothing, it’s no surprise they’re spreading awareness about the importance of saving the environment. Not only does the brand create items every girl wants to wear (really, this dress constantly sells out), it starts conversation about conserving the earth and how to make it a stylish priority. 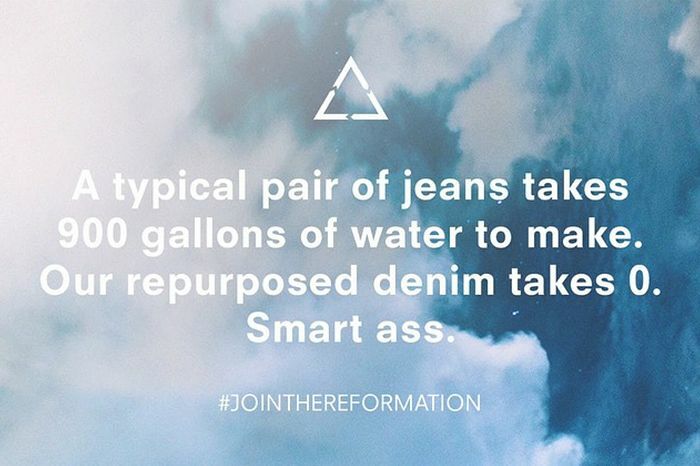 Since its launch in 2009, Reformation has exposed crazy facts about the waste and pollution that goes on in the fashion industry and believe us, the details are certainly attention-grabbing. To prove it, we’ve gathered 15 of the most jaw-dropping facts! Click through to find out and make sure to head over to Reformation to learn more about their latest project, "The Low Carb Collection."